Ald. 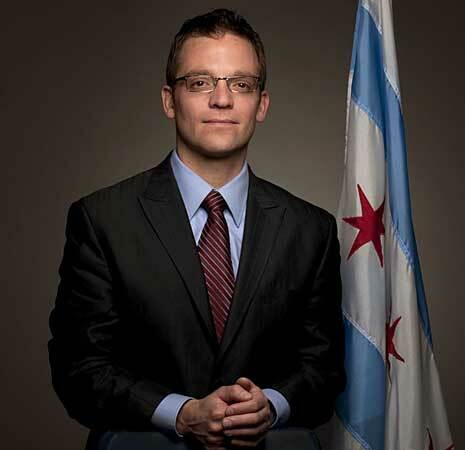 Proco "Joe" Moreno introduces himself and fields questions from East Village homeowners on Monday, May 3, when East Village Association members meet at 7 p.m. in the Happy Village, 1059 N. Wolcott. Mayor Daley named Moreno in March to replace Manuel Flores, now Illinois Commerce Commission chair. Moreno took office this month, retaining the ward staff led by Raymond Valadez at 2058 N. Western. On the flores1stward.com website, Moreno pledged to be "a strong and independent advocate for the people of the 1st Ward ... and no one else." A 14-year resident of the ward, Moreno has been affiliated with the United Neighborhood Organization, the Jose de Diego local school council and the Humboldt Park Social Services agency. He is a vice president at the printing company Buhl Press in west suburban Berkeley.